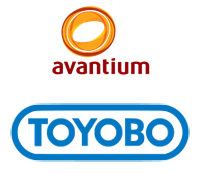 Japan’s Toyobo and Dutch chemical firm Avantium have jointly developed thin films made from PEF, a 100% biobased plastic based on Avantium’s proprietary YXY technology for the production of FDCA. These PEF films are about 10 micrometer in thickness (one hundredth of a millimeter) and can be applied for food packaging, in electronics applications such as displays or solar panels, industrial and medical packages. Compared to standard PET films, PEF films have a 10x higher oxygen barrier, 2~3x higher water vapour barrier, improved mechanical strength and are fully transparent. The performance benefits enable new packaging opportunities, such as transparent pouches for soups, sauces or baby foods. The barrier properties extend the shelf life when packaging oxygen sensitive products like meat, fish, dairy products, or fresh pizzas, or moisture sensitive products such as cereals, cookies, crisps, personal care or medical products, and enhance the aroma barrier for packaged cheeses, fish or detergents. The market development of the PEF films in Asia will be performed in collaboration with Mitsui & Co, with which Avantium announced a partnership in December 2015. The parties expect to offer samples for packaging tests from 2017 onwards. Moreover, Toyobo and Avantium are jointly optimising polymerisation processes in Toyobo’s existing polymerisation assets to produce PEF resin at commercial scale from MEG (ethylene glycol) and Avantium’s biobased chemical building block FDCA,. The parties intend to scale up PEF resin production to Toyobo’s commercial polymerisation lines in Iwakuni, Japan. In March this year Avantium announced it is in exclusive negotiations with German chemicals firm BASF with the intention of establishing a joint venture for the production and market development of FDCA and the marketing of PEF. Avantium has developed the proprietary YXY technology, which enables a catalytic conversion of biobased carbohydrates (sugars) to FDCA (furandicarboxylic acid). 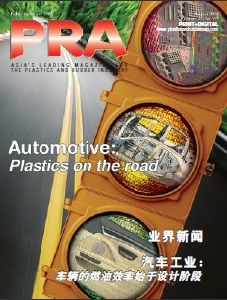 FDCA has numerous potential applications as a biobased building block for new chemicals and plastics, such as PEF (polyethylene furandicarboxylate). 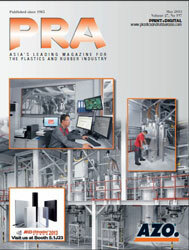 PEF can be produced from FDCA using conventional industrial production plants. PEF is a 100% biobased polyester with strong performance benefits over PET, such as a higher barrier to oxygen and CO2, higher mechanical strength, and a reduction in carbon footprint of more than 50%. These properties of PEF enable improvements to existing bottles and packaging films, for example shelf life extension and lightweighting.